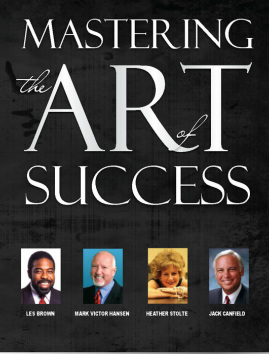 Mastering the Art of Success: Volume 8 is a compilation of 16 interviews conducted by David E. Wright, President of International Speakers Network. Insight Publishing searched for successful people and asked them how they have mastered success as they define it. Each of the authors in this book have provided intriguing insights into what success is for them and advice about how others can follow in their footsteps. What you will learn from it just may change your life. Interviewees include: Judith Bell & Daniel Ellenberg, Ed DeCosta, Jack Canfield, Kristi Staab, Kathy Fettke, Luz N. Adams, Les Brown, Heather Justine Stolte, Ed Chaffin, Pierrette Desrosiers, Vincent Ivan Phipps, Mark Victor Hansen, Dr. Tim Weir, Susan Boras, Francis J. Friedman, and Joe Pusateri.